The Caney Creek Ranch is a vast and scenic 3,140± acre equestrian and cattle ranch in Madison County, Texas. With frontage on HWY 190 FM 1452 and FM 978, this East Texas ranch is located just outside of the city limits of Madisonville, Texas. This prime location is easily accessible from Houston, College Station and Huntsville. Madisonville Municipal Airport is less than four miles south of the property, and Hensarling Airport is located just 10± miles northeast. Traversing various pastures of the Caney Creek Ranch are over 5.5± miles of wet-weather creeks and almost nine miles of distributaries. These various creeks and distributaries feed into the majority of the 32 ponds and lakes spread across the property. The largest of these lakes spans across 10± acres and features a small wooden fishing and boat dock. The second largest, spanning 7± acres near the main home, features a boathouse. Numerous operational wells and water meters have been strategically placed across the property in order to provide the entire ranch with water. The centerpiece of this ranch is the exquisite and sophisticated 6,022± square-foot rock home. This luxurious home features a master suite with his-and-her bathrooms, two additional bedrooms, one additional full bathroom, and three half-bathrooms. An incredible custom kitchen with stone, wood and granite features serves as the heart of this gorgeous home. The home also features numerous living spaces including a living room with a floor to ceiling stone fireplace, bar, office, and study. The beautifully landscaped back yard with a patio and pool is an excellent place to retreat or entertain. A breezeway extends the length of the house offering additional space for a quiet retreat while separating the home from the multi-car garage. The property is entirely low-fenced and cross-fenced, with a large section of the property being pipe-fenced. Well-managed and maintained native grassland pastures span across the 3,140± acres and serve as the perfect foundation for the impressive equestrian and cattle improvements on the Caney Creek Ranch. These improvements include paddocks, pens, barns, horse stalls, feed, tack and medicine rooms, arenas and more. 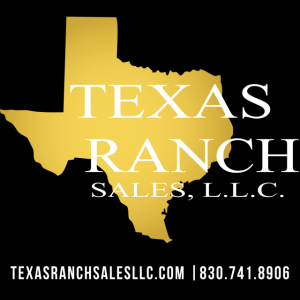 This turn-key ranch has everything required to facilitate a successful cattle and horse operation. Over five miles of excellent interior ranch roads give access to the majority of the property. A concrete driveway leads to most of the structural improvements, which are accessed just inside the gates from FM 1452. This grand ranch offers panoramic views, unbeatable amenities, and East Texas charm. The exceptional Caney Creek Ranch checks every box for the ultimate equestrian estate and cattle operation.